in terms of hardness and does not react chemically with steel at higher temperatures. CBN is the acronym for Cubic Boron Nitride. 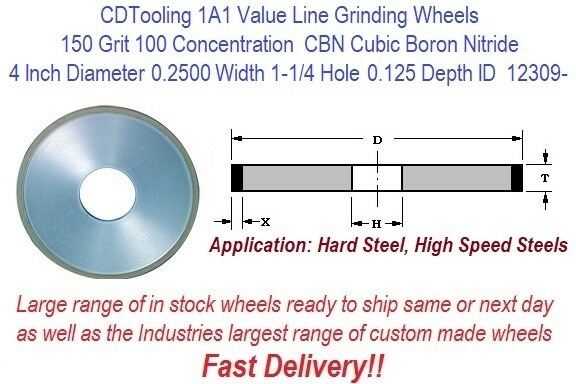 It is an abrasive material ideally suited for any hardened steels and High Speed Steels. There is minimal heat build up, so breakdown of the abrasive is very minor.